This page shows the latest Jonathan Emms news and features for those working in and with pharma, biotech and healthcare. He takes over from Jonathan Emms who moves to a global role within the firm. 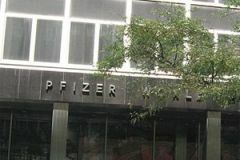 ... Nordkamp will take over from Jonathan Emms, who becomes global marketing lead for Pfizer's global established pharmaceutical (GEP) business. Pfizer UK managing director Jonathan Emms pre-empted the final NICE guidance for Xalkori with an editorial at the end of last month which slammed the tools used by the agency ... wrote Emms in the opinion piece. As previously announced, Khanna will also step down from his role as president of the Association of the British Pharmaceutical Industry (ABPI) to be replaced by Pfizer's Jonathan Emms.